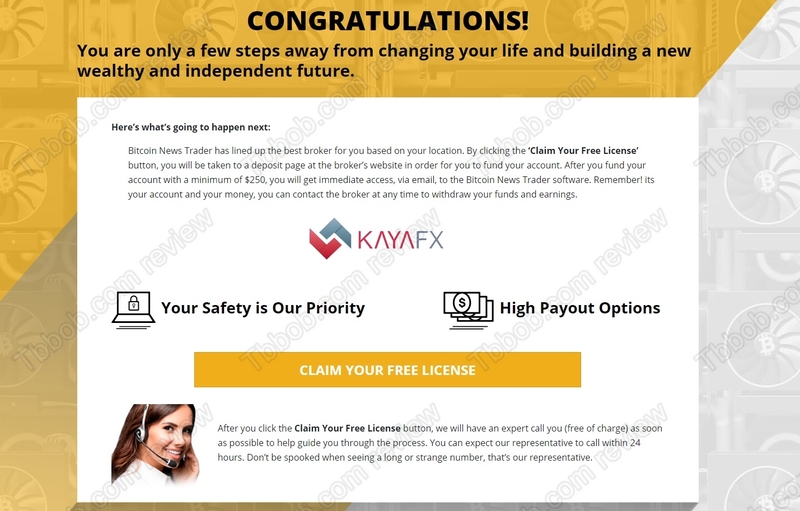 In this review we reveal that Bitcoin News Trader is a scam that is here to lose your money. 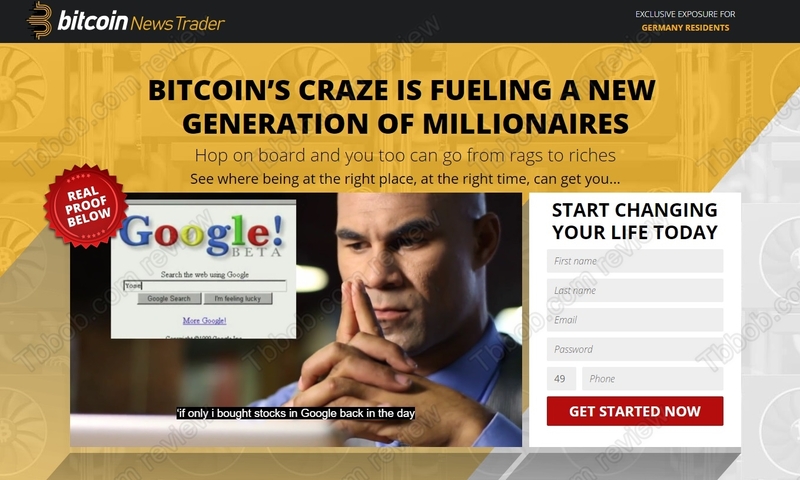 Bitcoin News Trader is supposed to be a trading solution for cryptocurrencies. It allegedly analyses hundreds of news sources and a team of analysts then makes recommendations about which cryptocurrencies to buy or sell. This is how Bitcoin News Trader is supposed to make you rich for free, because access to this system is free. Really? The truth is that Bitcoin News trader is just another scam made to take your own money and lose it with a scam broker. 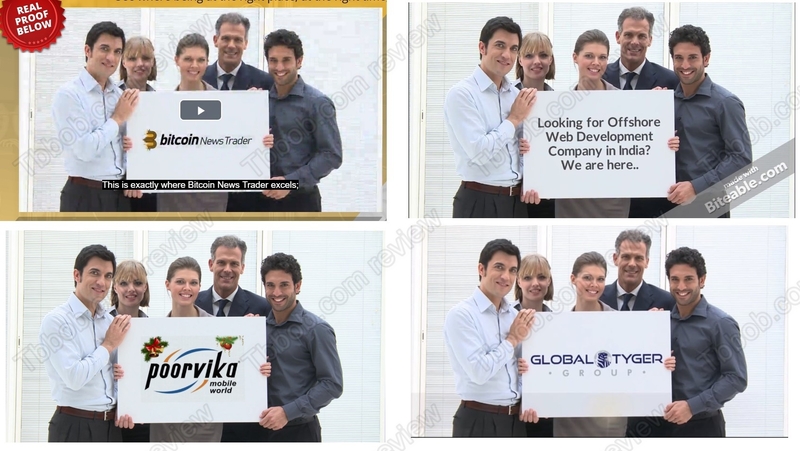 In the Bitcoin News Trader video you can see a team of people holding the Bitcoin News Trader logo, but it is fake. Scammers used a stock video and edited it. As you can see on our picture, the same video is widely use by other projects. The real owners of Bitcoin News Trader remain anonymous, they don’t provide any contact information. And this is a real problem, because this program is about investment advice, which is a regulated activity. Bitcoin News Trader therefor needs a licence, but it is not regulated, which means that it is an illegal service in most countries. As you can see on our picture, Bitcoin News Trader is not free. 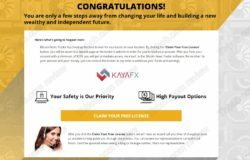 When you sign up, you will be immediately required to deposit at least $250 with KayaFX, which is a scam broker. People who run Bitcoin News Trader are getting paid by this broker for each new depositor they refer. This is how it works and how they make money. You can be sure that if you deposit your money and trade with Bitcoin News Trader, you will lose everything. 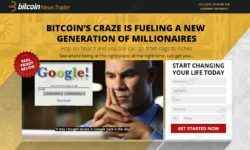 Bitcoin News Trader is a scam that will push you to lose money with an unregulated broker, stay away from it! If you want to trade cryptocurrencies for money, try it first on a free demo account with a regulated broker. Then you will see how it works and what you need to understand and learn in order to be able to trade with real money. hello. if this is a scam why they are still in a Maxbaouty campaign. You have to ask Maxbounty why are they cooperating with scams. I CANT ENTER IN THIS SITE? Why has Richard Branson allegedly invested $100m in this scam?? He has not invested in it, he doesn’t even know that this scam abuses his name. I contacted this company and was persuaded to deposit the minimum 251 USD. I have a receipt for this from another company with I find on researching, has a poor trading record and bad client reviews. Nobody seems to have made any money. I am unable to contact either companies. The landines don’t accept return calls and return emails bounce. I have however been contacted over 3 days, by phone, by 4 other brokers who profess not to know how my details have got to them and basically want me to deposit more money. I’ll write off £200 which I won’t hear of again and suggest you avoid this scam market.